Imprint Method: 4 Color Process - The unique Ice River cooler features a 18 can capacity and doubles as a portable seat! An ideal accessory to have at tailgates, parties, and other outdoor events. 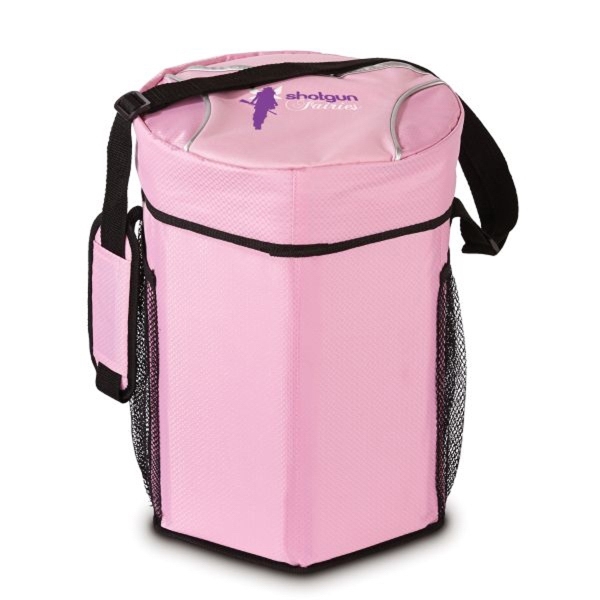 Designed with an adjustable padded shoulder strap, it folds flat while not in use for convenient storage and portability. May be customized with your company name and logo. 11W x 14.5H x 11D. Seated load capacity about 225 pounds. Size: 14.5 " x 11 " x 11 "